At Prince Bishops we use our Sports Premium Grant contributes to the employment of a dedicated specialist P.E. teacher who is passionate about promoting active life-styles and developing our young people’s health and well- being. Her remit is to oversee all aspects of PE and sport across Prince Bishops school ensuring ongoing development and tailoring a bespoke programme specific to the needs of the children and staff. 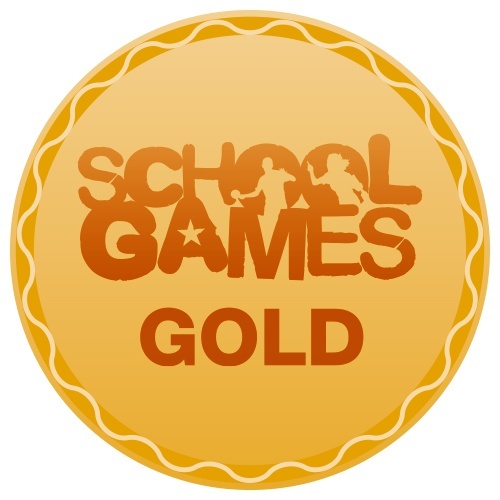 During the 5 years in post, Prince Bishop’s school has achieved Gold in the Sainsbury School Games Award for 5 years in row, leading to PLATINUM in 2018. The school has also achieved the Youth Sport Trust Gold award. Furthermore, we were nominated and shortlisted for the Primary School contribution to Sport and Physical Activity Award 2016/2017 and in 2017/18. Staff and Curriculum Development: Increasing confidence, knowledge and skills. The PE Teacher and Leader works for four afternoons per week, producing planning, working closely with staff and delivering demonstration lessons. This develops the skills of staff and ensures the continued improvement of quality PE provision throughout the school. As a result, teaching staff have gained in confidence and subject knowledge and contributed to sustainable improvement. Since 2014, to further enhance the development of staff skills, they have participated in a number of external CPD sessions from cluster secondary schools as well as liaising with other Primary schools which has allowed focused, quality practical sessions aimed at giving teaching staff practical ideas they can use in curriculum delivery. As a result of these sessions we are now in a position where we are able to make more defined choices specific to the development of staff. Therefore, from 2017-2018 Prince Bishop’s will take direct control of CPD and other elements and will no longer be part of the service level agreement; we now feel that a more specific programme will benefit both children and staff better and serve their needs more closely. The continued evaluation of PE across the school has resulted in a flexible and focused development plan which aims to underpin improvement of the subject on all levels. The plan, now in its fourth year, has to date been revised and added to and represents a reflective, adaptive and responsive management tool which monitors the progress of PE as well as highlighting the future pathway for PE development. Again, this establishes a firm foundation for the future of PE within our school and ensure long term excellence and sustainability. Broader experience of a broad range of sports offered to all pupils - Participation, Attainment and Competitive Opportunities. At Prince Bishops, we recognise the importance of high quality physical education and the part it plays in raising standards and narrowing achievement gaps. All pupils in school take part in PE/sport/physical activity for more than 2 hours per week. We understand that involvement in PE and sport helps to build self-esteem and resilience, encourages teamwork and develops leadership skills. We encourage our children to have a sense of fair play and become keen sportsmen and women with the aim of instilling a lifelong interest for keeping fit and healthy. Opportunities for our children are provided on a number of levels. Curriculum opportunities provide the basis for skill development and general understanding of physical wellbeing as well as promoting social aspects of sport. These are offered in 2 hour P.E lessons for most classes with some of the younger children having 1.5 hour lessons with Active curriculum activities supplementing these lessons. After school clubs, aim to engage children from across the school. These run on a weekly basis and provide a wide and varied range of activities such as dance, gymnastics, tag rugby, football, cricket, American football, yoga and multi-skills. We also offer a variety of sporting activities every Friday afternoon as part of our Privilege Time. This is an initiative which aims to improve behaviour throughout the school using a rewards based approach. Children earn their time for a chosen activity. These activities change on a weekly basis offering children activities such as dodge ball, Just dance and bench ball. At lunch time, a member of the lunch time supervisory staff takes groups of children to practise a particular sport and on occasion a member of staff with specialist knowledge will coach the higher level children. For example a teacher who is also a qualified coach, coached the tag rugby team which resulted in our team reaching the semi-finals in a Level 2 inter-school competition. At breaks we have a group of 12 Young Leaders timetabled to work with each year group through the week. The young leaders were put through a rigorous selection process which then led to a formal training using the Playmaker Award led by County Durham sport. Each class therefore has access to a variety of sporting equipment on a rota basis as well as being taught new games and skills led by the young leaders. The provision of semi-competitive intra-school sporting events allows access to friendly games with an element of competition. Prince Bishop’s offers intra-school competitions in Tag rugby, Netball, Bench ball, cricket and rounder’s as well as showcasing gymnastics and dance. Level 2 inter-school competition plays an important part in developing advanced competitive skills and gives those involved an opportunity to progress to level 3 county games. We have had some success in that area in particular Cross Country but this is an area we need to further develop. Engagement of all pupils in regular physical activity and impact on pupil wellbeing. The impact of having a co-ordinated, inclusive and wide ranging system of developing physical education and sport can be seen directly in both improved performance individually and collectively across a range of activities. Children’s skill levels, confidence and enjoyment of sport are all evident across the school with children displaying levels above expected targets. Monitoring, especially at the beginning and end of a unit of study shows good and often outstanding progress. To quality check these standards a new and updated system of assessment is currently being devised. Participation rates are high for after school sports clubs with approximately 50-60% of children in KS2 taking part in sport each week. As part of the government’s Change4life scheme, we have for the last 4 years developed a club for not only those children who more sedentary children but also the kids with low self esteem and social problems as well as those with SEN who’s special needs form a particular barrier to learning in PE. We initially started the club with 15-20 children and used the activity cards provided in the change4Life bags. However we found the numbers too high and the cards quite restrictive so we made some changes. The activities are now very much child led and we keep the numbers low with our young leaders planning and leading each session. The overall result has been great, both for the younger children and the older Play leaders. We have found that on average round about 80% of the children who regularly attend C4L went on to attend another after school Sports Clubs and continue to do so as they progress through the school. 50% of pupils from classes are involved in Young Leaders activity sessions, with an improvement in behaviour reported at break times as well as some younger children being able to practise skills they have struggled with in lesson time. The impact on our Young Leaders has been measured using a Profile wheel which asks children to rate their skills both before the training and then after they had completed the programme. In last year’s cohort of the 11 pupils, 55% of the pupils reported that being involved in the programme helped them to improve their communication skills, 73% said that their leadership had improved as a result of being involved in the programme, 64% reported improvements in their problem solving, 64% said that their confidence had improved throughout the duration of the programme, 73% commented that their organisational skills had improved, 36% said that they were now better at teamwork, 55% thought that they had improved their creativity and 45% of the Young Leaders reported that their time management had improved as result of being part of the programme. We have also had some fantastic individual successes. For example, one of our pupils went on to win the Durham Primary Young Leader Award 2017. Her success was due to the impact the programme had on her confidence and leadership skills, which was also of benefit out of school at The Girls Friendly Society. Another Young Leader has gone on to become a Young Sports Leader at Secondary school. Our school has also been part of the Young Sport Ambassadors pilot scheme which has meant that our pupils have not only represented our school at the Level 3 School Games, but have also played an active part back at school by using their newly learnt skills to further enhance our play times and breakfast club activities. Our Young Sports Ambassador last year, Ella Welsh, is now using her skills as a Y6 Play leader. Also our current Young Sports Ambassador, Jessica Down, is already demonstrating the impact of her training by helping children in our Breakfast club become more active by introducing new games and activities she has learned so far. Swimming is viewed as a key area for all Prince Bishop’s children. We recognise its importance as a sport and as a life skill. The role of our P.E teacher is to be a direct link between our designated swimming instructor and the needs of the children in our school. Mrs Jones is a qualified level 1 coaching assistant and in practical sessions will take the more able students to develop their swimming strokes. This has resulted in great progress for our children and a slow percentage rise in those children successfully reaching the National Curriculum standard. Of our current year 4 children, only 40% were at stage 3 or above in September 2017,this increased to 68% by the end of December. At the present time in our current Y6 , 41% are able to swim 25metres confidently using a recognised stroke, compared with 39% of last year’s Y6.It is hoped that by the end of the Easter term the figures for year 6 will improve even more as those children who have not reached the required standard will be provided with extra, intensive sessions of water safety and swimming lessons. Our aim always is for all our children to be able to swim 25 metres using at least one recognised stroke. Increasing participation in competitive sport: Excellence and High Level Performance. Links to outside clubs continue to grow with Prince Bishops children joining and representing local clubs at club level, particularly in football. We do encourage children to join a variety of clubs in the community through a programme of visiting outside agencies such as Destination Judo, Wildcats basketball, Hoopstarz, Shildon Athletics club and Chance to Shine cricket programme. It is hoped that continued exposure to a number of sporting bodies will encourage our children to move onto a higher level of competitive sport. This is an area we continue to work on as we tend to find that costs play a large part in lack of uptake. The Profile of Sport and P.E: Healthy Lifestyles, fair play, etiquette and sportsmanship. The development of an understanding of health and social aspects of PE and sport are of key importance to the overall development of PE in our school. We recognise our duty in ensuring our children understand, and are able to have an input, in their own health requirements and know how to behave in the sporting arena with grace and honour. Physiological knowledge, healthy eating and drinking and safe practice are an integral part of any PE lesson. Reference is often made to these aspects of learning and the importance of warming up and cooling down are stressed. It is the aim, that by the end of key stage two, we have independent, educated children capable of preparing for activity, carrying out an activity and concluding an activity in the correct way. Learning to be respectful, but not fearful of an opponent, is crucial when engaging in competition. This is taught from key stage one and throughout the primary phase. Learning to win and lose with dignity is important and events always end with a handshake. Since 2014 a number of initiatives have been implemented to raise the profile of sport and P.E in our school for example the introduction of P.E specific assemblies. These assemblies promote achievement in sport both in the school curriculum and celebrating the success of those children who have achieved awards in Community sport. An inspiring sporting video is shown to children as they enter the hall and certificates are given to children form every year group based on the school games values of teamwork, resilience, setting a good example and fair play. This has helped to increase in self esteem in those children who are not as good academically but are excellent at sport. We have also introduced a P.E specific newsletter in order to keep parents more informed and to raise the profile of P.E which in turn raises the self esteem of the children who take part in the various competitions. We were one of six pilot schools in Durham who have been part of the Inspire Project since 2015. Through this project we worked on various units covering dreams, goals and ambitions, stepping out of the comfort zone, role models and mindfulness. The programme aims to not only improve pupil performance in sport and P.E. but also to have a positive impact on children’s ability to bounce back and keep motivated across the curriculum and in all aspects of their lives. In the first year, retired Olympic swimmer Chris Cook led the programme providing CPD for staff as well as running workshops for every year group. His mantra was “Dream big, start small”. He visited the school on three occasions, inspiring children with his own personal story and ending in being our guest of honour at our Sports day. In the second year our children were further inspired by Paralympian Tim Prendegast who shared his own experience of overcoming disability to succeed in order to in encourage children to overcome their own obstacles. The impact of this project has been far reaching for our children. Jason Rhodes (Specialist Inspector for Physical Education), interviewed a number of our children and reported that the Inspire programme has had a significant impact on the emotional resilience of our pupils. He stated that pupils are now able to recognise how it enables them to learn best and also how it has improved their confidence and self-esteem to tackle challenging situations. Pupils also felt that it had benefitted them during the stressful times of KS2 assessments. We are currently planning on continuing the project for a third year with a visit from a Katy Storie an English female rugby union player. We have also introduced the Prince William this year which involves the introduction outdoor and adventurous activities for Y2 and Y5. These activities are focused on developing greater independent thinking skills, teamwork and building confidence while giving children a range of experiences, At Key Stage 1, children have experienced activities where character qualities can be displayed. They have reflected upon and learn to understand the value of significant character traits in personal development and in working together successfully. Children in Key Stage 2 have demonstrated how certain character attributes can be applied to different situations. They have experienced the impact that individuals (especially themselves) make on group performance, how groups can influence decision-making and how the character values can contribute to quality of outcome and the type of decisions reached. Future provision and Planning Ahead: Proposals For Expenditure and Development. Even though we recognise the development and maturing of our provision we strive to press ahead and not rest on our successes. We believe that what we have achieved in past years has been greatly successful and we now look to the future. Continuation of Inspire project and any other relevant projects. Funding for transport to sporting events. NOTE: C and D provision will be dependent on specific needs of staff following consultation. At Prince Bishops, we recognise the importance of high quality physical education and the part it plays in raising standards and narrowing achievement gaps. All pupils in school take part in PE/sport/physical activity for more than 2 hours per week. We understand that involvement in PE and sport helps to build self-esteem and resilience, encourages teamwork and develops leadership skills. We encourage our children to have a sense of fair play and become keen sportsmen and women with the aim of instilling a lifelong interest in keeping fit and healthy. We are committed to developing the knowledge, understanding and skills of staff to ensure that provision in PE is of the highest quality. We employ a specialist PE teacher who teaches, works with staff as part of their professional development, liaises and develops external links and takes a lead in the monitoring and evaluation of our effectiveness and impact. Subject knowledge, skills and understanding of physical literacy is developed among all staff through peer coaching. PE subject leader to support identified staff including a strategy of team teaching across the school. All staff teaching PE are confident and deliver high quality PE. Potentially purchase and implement Skills2Achieve assessment tool or develop own assessment tool. PE, physical activity and school sport are contributing towards improving attendance and behaviour for targeted pupils. Staff and children utilise activities introduced by Chris Cook to increase resilience. Increased resilience evident in children across the school. Use P.E. and Sport to help children to become more ‘mindful’. To recognise when they are in the ‘panic’ zone and develop strategies to reduce stress and improve behaviour for learning. INSPIRE PROJECT. Staff and children utilise activities introduced by Chris Cook to promote well being. Increased ability to cope with stressful situations in children across the school.